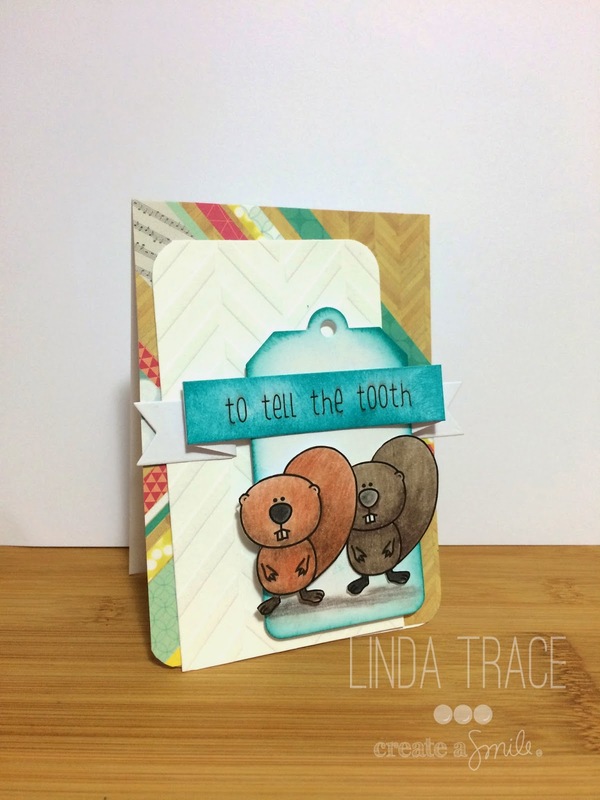 LINDA TRACE DESIGNS: Welcome to the New CREATE A SMILE STAMPS!!!!!!!!!!! Welcome to the New CREATE A SMILE STAMPS!!!!!!!!!!! It's finally here!!! Today is the first official day of CREATE A SMILE STAMPS!!!!!!!!! Can you tell I'm excited?? Today we're releasing two fantabulous stamp sets!!!! Sadly my stamps are still on their way to me (darn you post!!) so I had to use my digital files for this one, but the images are still adorable and SO fun to work with! As you can see, you should have come here from the incredibly talented Laura's blog, and now you're on your way to see Lucy--she's a favourite of mine! Don't forget to leave a comment! You have a chance to win a $15 Gift certificate to the store! so cute. i love the little critters and your card is amazing. Wow this card is looking great I love that sentiment. How cute are those digi images - I am going to have to get them. Love your card and that sentiment is so cute! Just love it, what great stamps! Love to see a new company on the block. Love your card too! :D bahhhahhha, i love this punny sentiment. 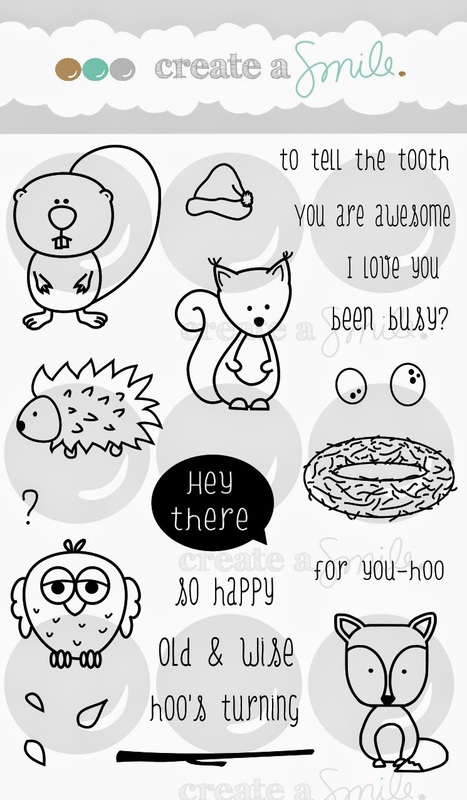 Such cute stamps.....hopefully you will get them soon and have lots of time to play with them! Super cute! Love the punny sentiment! Cute stamps - hope to see lots more in the future. Your card made me LOL. Super cute stamps. Love, love the sentiment and the critters are so cute! Sweet card. Also love the fun sentiment. Awesome job girl, love that you colored them differently and the layout is so cool! Thanks for being part of my new baby - I am so so so lucky to have you! So cute! The nice thing about digital stamps is that you can size them to suit your card. Lovely work. What a cute card! Love all of the fun layers! Your card makes me giggle! Love the sentiment you used! 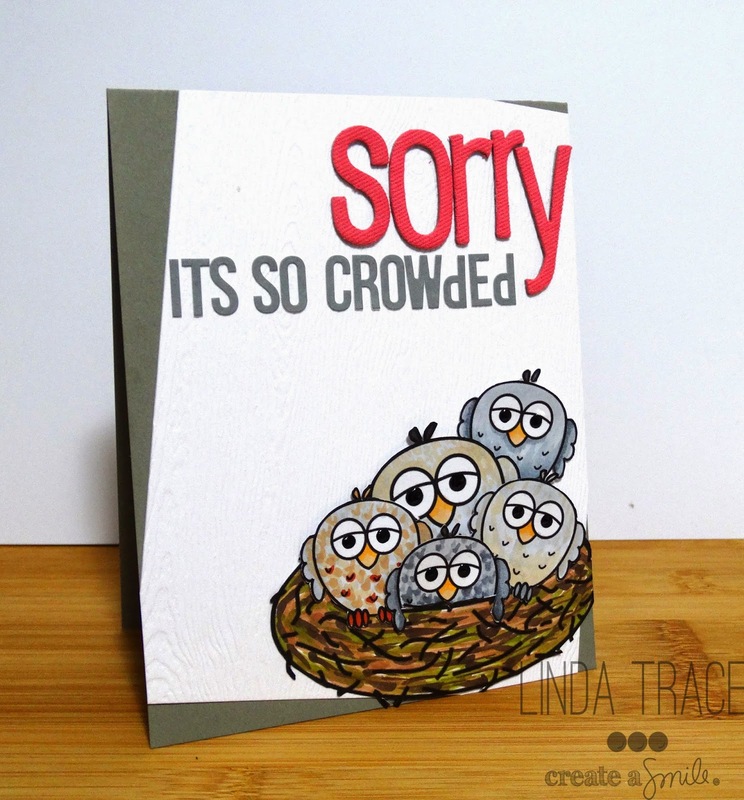 Really cute card, and your coloring is just beautiful, Linda! So happy to see you on the hop! Love those toothy beavers! Great card! Love the squirrel tooth and the sentiment goes with it so well! I love those little beavers! Okay. How cute are these critters?! And the sentiment is perfect for them as well, just a fun and happy card. Thanks for making me smile and for letting me know about this new company and their stamps! Super cute critters! Great job for not having the stamps! Brilliant! What a duo of cuties! Your coloring and card design are brilliant :) TFS! You've just gotta love the critters! Great card! It makes me feel like camping! Awesome card,Linda!! I love the tag and your coloring!! love love love love!!!! that background is so COOL!!!!!!!!! and those little beavers stole my heart! the front teeth - ack! love them!! so so so cool! 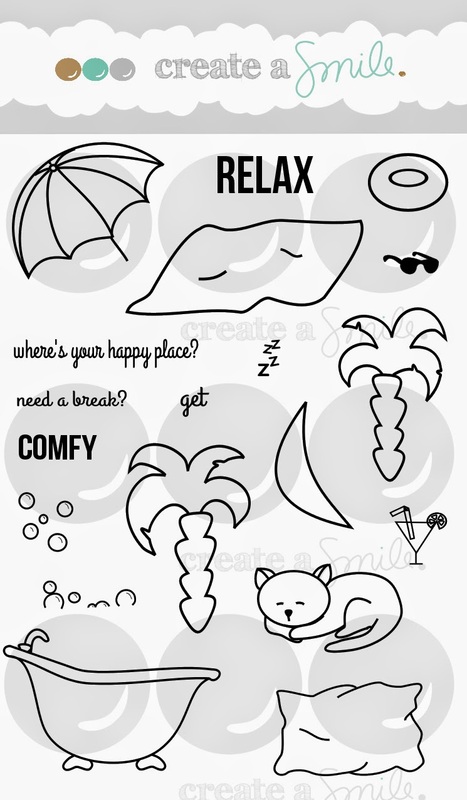 © LINDA TRACE DESIGNS: Welcome to the New CREATE A SMILE STAMPS!!!!!!!!!! !